Party of 5 and counting: The Nut Job Scurries Onto Blu-ray and DVD April 15 and Digital HD on April 8! The Nut Job Scurries Onto Blu-ray and DVD April 15 and Digital HD on April 8! GO NUTS FOR THE FAMILY MOVIE EVENT OF THE SEASON! Universal City, California, February 19, 2014 - Be prepared for one squirrelly adventure in the action-packed comedy, The Nut Job, starring Will Arnett (Despicable Me, Ratatouille) as Surly, a mischievous squirrel on a mission to prove himself. 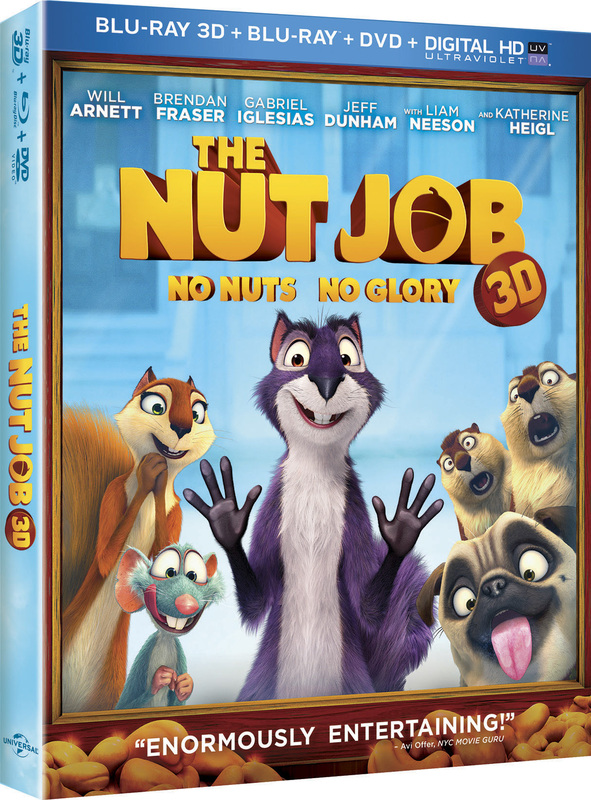 The Nut Job comes to Blu-ray 3D and Blu-ray Combo Pack including Blu-ray, DVD, & DIGITAL HD with UltraViolet as well as On Demand on April 15, 2014, from Universal Studios Home Entertainment. The film will also be available on DIGITAL HD one week early on April 8, 2014. Surly (Arnett) is a mischievous squirrel with a mission: to find the tastiest nuts for winter. When he discovers a whole store filled with his favorite food, he plans a heist of nutrageous proportions. But the place turns out to be owned by ruthless bank robbers so it’s up to Surly and his furry friends to stop the nearby bank heist and save the town. Showcasing an all-star cast including Brendan Fraser (The Mummy, Whole Lotta Love), Liam Neeson (Non-Stop, The Grey), Katherine Heigl (Knocked Up, The Ugly Truth), Maya Rudolph (Bridesmaids, Turbo), Jeff Dunham (Arguing With Myself, Spark of Insanity) and Gabriel Iglesias (Magic Mike, Hot & Fluffy), The Nut Job will prove “Enormously Entertaining” for the whole family (Avi Offer, NYC Movie Guru)! The Blu-ray 3D Combo Pack and Blu-ray Combo Pack include a Blu-ray, DVD and DIGITAL HD with UltraViolet. · Blu-ray unleashes the power of your HDTV and is the best way to watch movies at home, featuring 6X the picture resolution of DVD, exclusive extras and theater-quality surround sound. · DVD offers the flexibility and convenience of playing movies in more places, both at home and away. · DIGITAL HD with UltraViolet lets fans watch movies anywhere on their favorite devices. 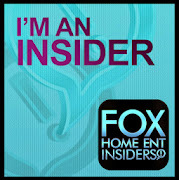 Users can instantly stream or download movies to watch on iPad®, iPhone®, Android™, smart TVs, connected Blu-ray players, game consoles, and more. · DELETED SCENES - Check out Surly, Grayson and the gang in scenes removed from the final version of the movie. · STORYBOARDS - Watch key scenes from the film brought to life from the original sketches. · THE GREAT NUT HEIST - Will Arnett, the voice of Surly the squirrel, discusses the great caper story at the heart of the film. · DANCE-OFF END CREDITS - Surly joins his furry friends and a very special guest for this show-stopping number. o SURELY SQUIRREL - Meet Surly for the very first time in the award-winning animated short that started it all. o NUTS & ROBBERS - Surly and Grayson stumble upon a bank heist gone wrong in NUTS & ROBBERS – created by ToonBox Entertainment as a teaser for THE NUT JOB.